I'm Your Fairy Godmother: Frozen Events Return to Hollywood Studios This Summer! 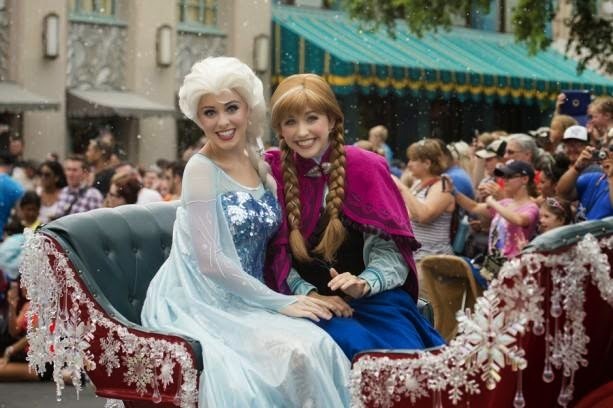 Frozen Events Return to Hollywood Studios This Summer! This summer-long special event features a full day of “Frozen” fun from park open to park close, including a royal procession, a sing-along celebration, fun photo opportunities, “Frozen” merchandise, specialty food and beverage offerings and a grand finale fireworks spectacular. For the First Time in Forever: A “Frozen” Sing-Along Celebration – Just in time for this year’s “Frozen” Summer Fun LIVE event, this popular show moves into the beautiful Hyperion Theater (formerly Superstar Television Theater), located right in the heart of Disney’s Hollywood Studios. The Royal Historians of Arendelle host a fun and comedic retelling of the unique story of their kingdom, filled with delightful, sing-along moments from “Frozen,” plus all-new in-theater effects and special appearances by Anna, Elsa and Kristoff. Olaf’s Summer Cool Down – Several times each day, the Ambassador of Hollywoodland brings Olaf and some of his friends to the Event Stage to have a little fun with everyone “In Summer.” And as temperatures heat up, Olaf happily shares a burst from his personal snow cloud to cool things off. “Coolest Summer Ever” Dance Party – Once the sun goes down, a dance party takes over the area around the Event Stage, with DJ Chill and some of your favorite Disney characters. Using a special event hashtag, you can share song requests and photos over social media, to be featured onscreen during the party. “Frozen” Fireworks – As the night comes to a close, Anna, Elsa, Kristoff and Olaf come together at the Event Stage for a grand finale to the day’s festivities, kicking off an awe-inspiring fireworks display set to the glorious music of “Frozen” and, of course, a flurry of snow! “Frozen” Summer Fun LIVE starts June 17 and continues daily through September 7 at Disney’s Hollywood Studios. Who’s going?